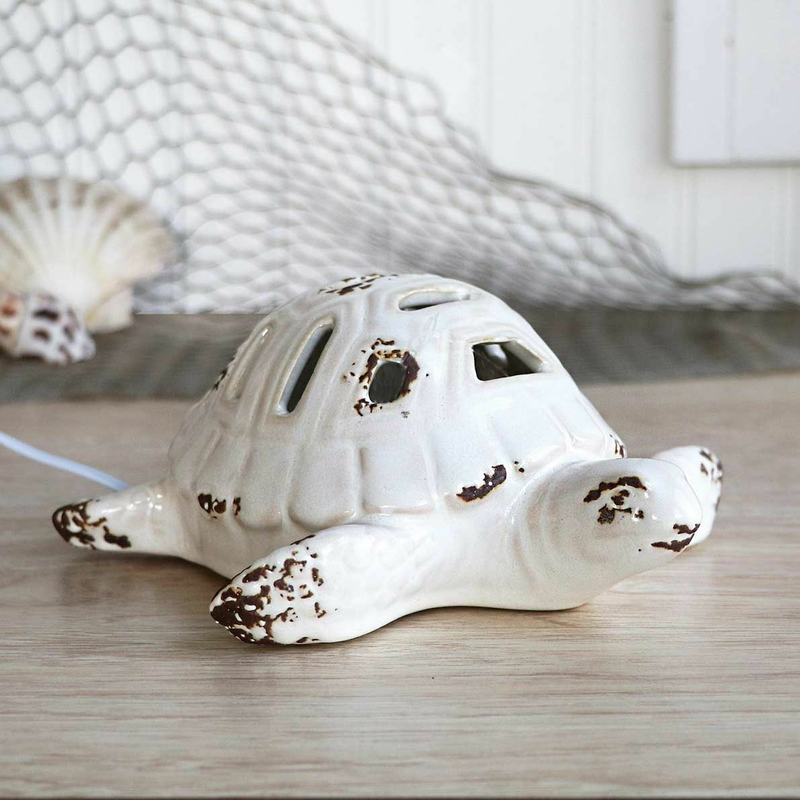 A Bella Coastal D�cor Exclusive - Ceramic nightlight in a distressed cream finish. Toggle switch. Uses one 7-watt max bulb. 8"W x 7 1/2"D x 3 1/2"H.